See Yep Association held the Merseyside Police Special Constable Recruitment Drive at our See Yep Association’s meeting room on 20th March 2018. Our Chairman Mr Ken Tam welcomed Inspector Tom Welsh, Sergeant Mandy Hamilton, and Emily Tattersall of Merseyside Police, and all the Chinese community leaders. Mr Ken Tam said in his speech, "We wholeheartedly support Merseyside Police’s work in the community, and their tireless effort to make Merseyside a safer place to live in. In today’s climate on home and personal security, citizens feel there are not enough police presence on the streets and around us. We totally understand the police is over-stretched with the limited manpower that they have. So, by volunteering as a special constable, you will contribute to the police effort in protecting the community. 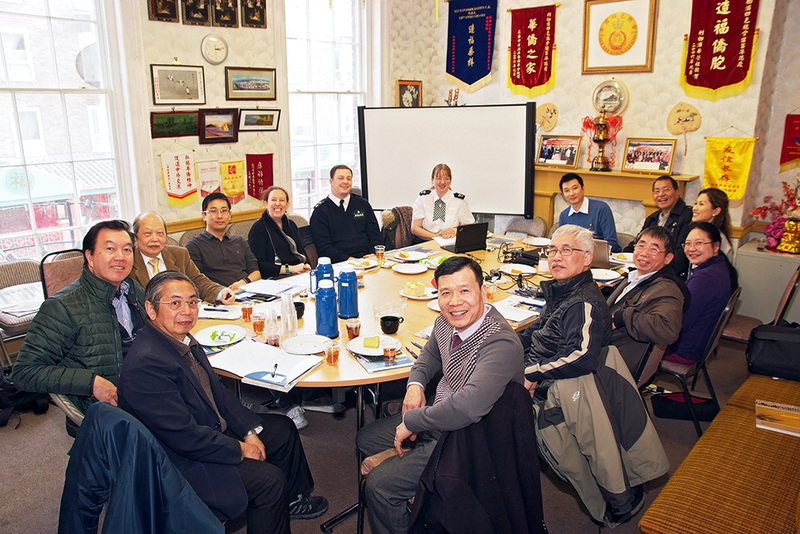 I would encourage anyone who has time to spare, to volunteer as a special constable, especially members of the Chinese community to come forward to serve and to integrate into the wider community."